On January 12, 2013 Shifu Plitt hosted a Qigong workshop where he taught the "8 Pieces of Brocade" Qigong set (also known as Ba Duan Jin Qigong). Below is a short video with clips from various parts of the workshop. For those of you who have been considering attending a workshop, this will give you some ideas of what to expect. We hope you all enjoy it. If you are interested in attending a workshop please visit our Workshop and Seminars page to see when the next workshop is scheduled to take place. Here is some very exciting news. 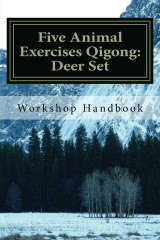 Shifu Andrew Plitt has just published his first book titled Five Animal Exercises Qigong: Deer Set. This book is meant to accompany the workshops that Shifu Plitt teaches on the Deer Set of the "Five Animal Exercises Qigong" (also known as Wu Qin Xi Qigong), but it can be used by anyone to learn these health promoting exercises. This Qigong set has been practiced in China for hundreds of years to help strengthen the kidneys and urinary bladder through movements that massage these organs, while simultaneously activating these organs' meridians. This passive activation of the acupuncture points on these meridians offers a more comfortable option to the direct stimulation experienced in acupuncture or acupressure. World Tai Chi and Qigong Day is coming up at the end of April and we are getting very excited about this event. 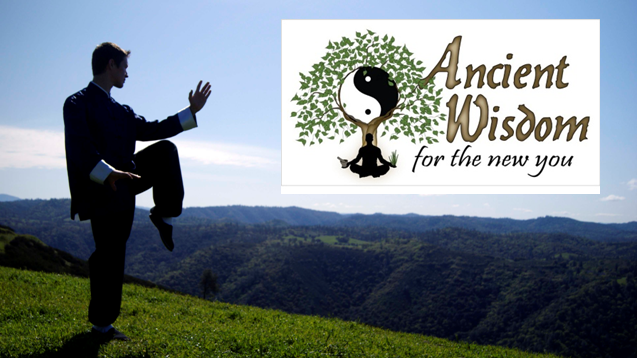 We have another wonderful announcement about Amador County's 2013 World Tai Chi and Qigong Day celebration that we would like to share with all of you. The wonderful Marilyn Nutter, who teaches Chi Movement meditations every Wednesday at 6pm at Sophia's Well of Wisdom in Sutter Creek, has agreed to lead one of our 30 minute workshop/seminars. She is a very wonderful lady and we are sure that everyone that attends her workshop will thoroughly enjoy it. If you have any questions about Amador County's World Tai Chi and Qigong Day please feel free to contact Shifu Plitt.